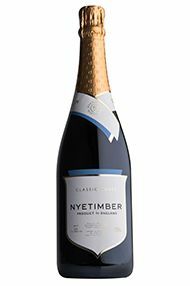 The Wine Advocate - The NV Classic Cuve is a blend of 50-60% Chardonnay, 30-40% Pinot Noir and 10-20% Pinot Meunier. This particular cuve is based on the 2013 vintage, augmented by contributions from 2010 and 2011, also 20% of the 2009 vintage. It spent three years on the lees. It has a generous bouquet with red apple, fresh pear and a touch of Mirabelle. I appreciate the vigor and intensity here. The palate displays fine delineation with hints of strawberry and cherry, nicely weighted in the mouth with a brisk and tensile finish. The Classic Cuve has long given pleasure and it continues to do so.